In 2016 David and Frances, from So The Adventure Begins, packed up their lives and jetted half-way around the world to set up home in Ho Chi Minh City, Vietnam. 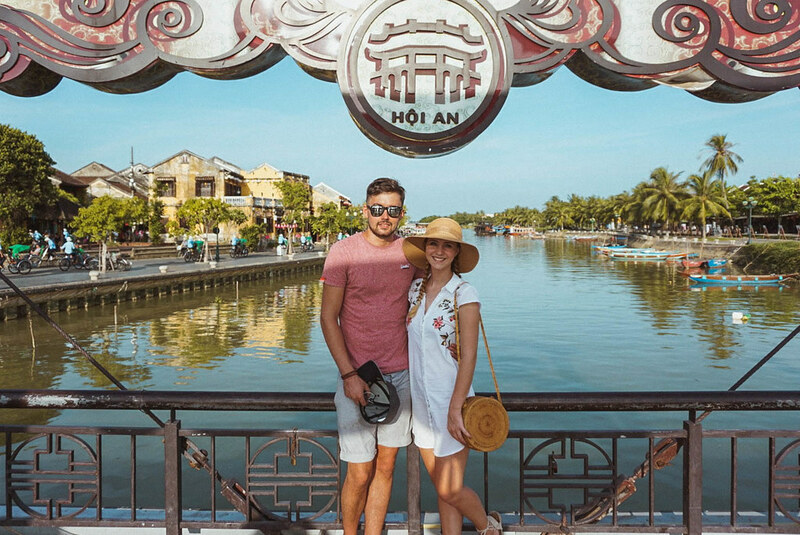 In between their day jobs as English teachers, they explore Vietnam and the surrounding countries, with big plans to take on the rest of Asia! After 1 year into living in Ho Chi Minh City, they have learned the in’s and out’s and fallen head over heels for their new home. Our adopted hometown of Ho Chi Minh City, still affectionately called Saigon by the locals, is found in the southern region of Vietnam. Taking its new name from the revolutionary leader that led the country to peace after decades of war, it’s the biggest and most westernised of Vietnam’s cities - it’s actually the fastest growing city in SE Asia! 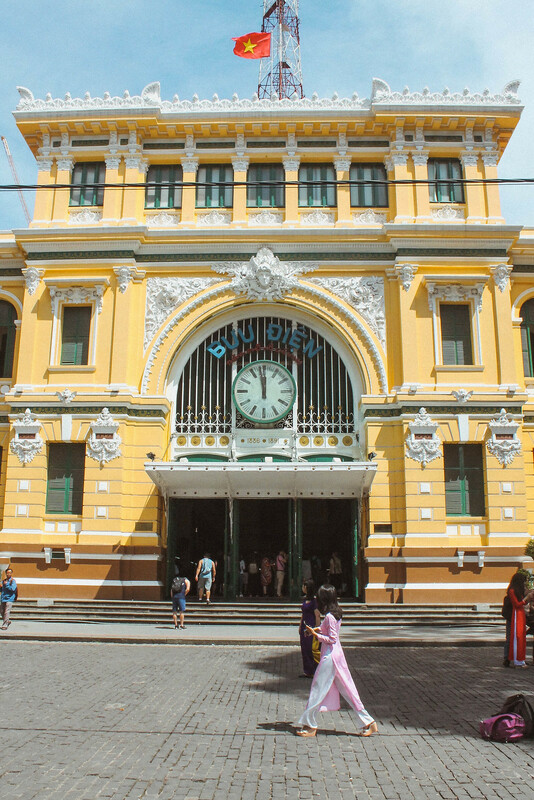 As Saigon has developed, its Vietnamese and French colonial origins have merged to transform it into a vibrant city, full of cafes and bustling energy. The city is home to Vietnam’s largest airport and subsequently is most visitors introduction to Vietnam. 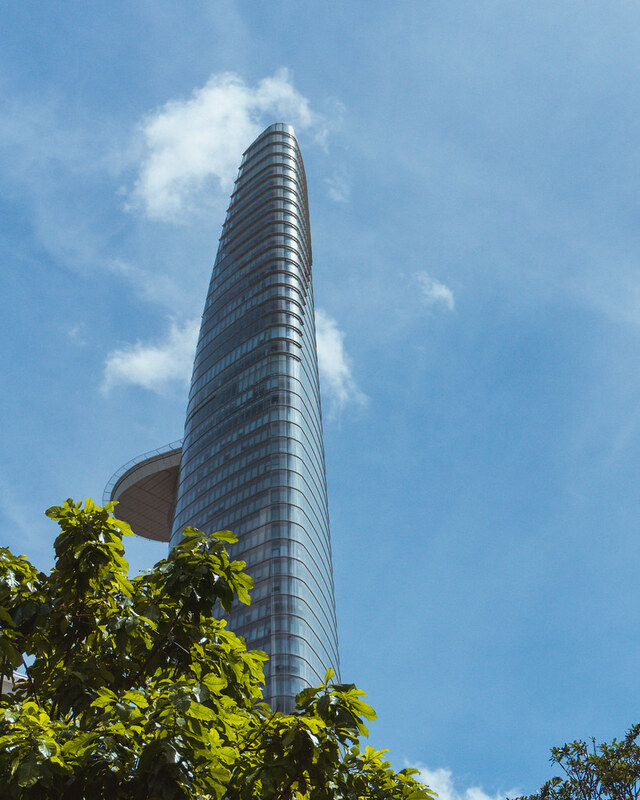 Similar to Bangkok in Thailand, it seems that a lot of visitors see Saigon as a thoroughfare to the rest of Vietnam, viewing it only as a big city with little to offer tourists. To some extent they are right as the city doesn’t have much in the way of tourist attractions and what it does have could be seen in a few well-planned days. 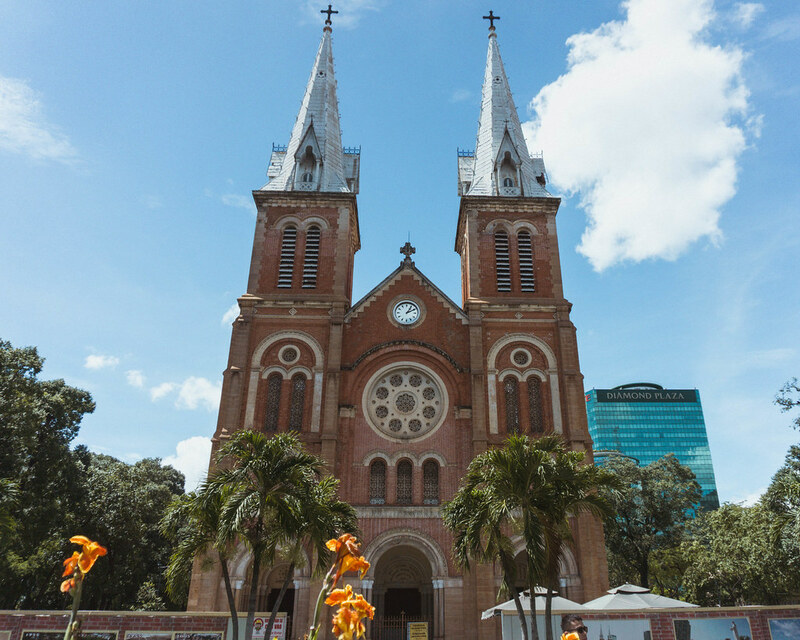 However, through living in Ho Chi Minh City, we have come to find that there is a lot to see and love about the modern side of Vietnam it offers. Ho Chi Minh City is still catching up to other Asian super-cities, and as a result it still has a poor public transport system. Despite its vast scale, the best way to see Ho Chi Minh City is actually on foot (if you can cope with the sweltering heat and humidity). Most of the sites and attractions of can be found in District 1, which is easily walkable. For things slightly further afield, the best way to travel is by motorbike taxi - we always opt to use Uber or the Asian equivalent, Grab. Both are much cheaper than metered taxis, and as its all done through an app you don’t have language barrier issues with directions. Traffic in Ho Chi Minh City is k-raaazy busy, making it quite daunting crossing the road but as long as you walk at a steady pace you'll master the roads in no time. Speaking of k-raaazy, there are roughly 7.43 million motorbikes in HCM and it seems like every single one of them gets used every single day. 7.43 million. Seven point four three million. 7,430,000. It’s so completely mind-boggling. There are more motorbikes here than there are people in our home country of Scotland - by about 2 million! The roads are chaotic and frantic and the Vietnamese deem road laws as optional but oh my goodness, it is so much fun! 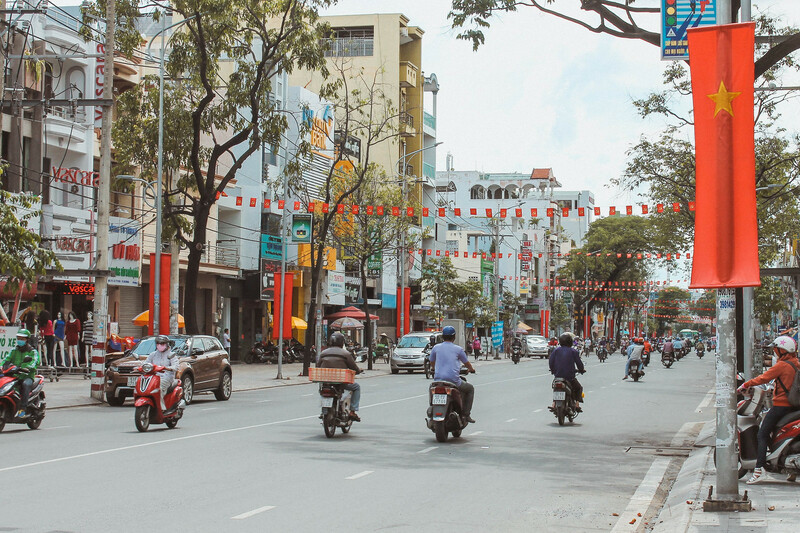 Whether driving a motorbike, or sitting on the back of one, its an experience like no other and being a part of it is a must when visiting Ho Chi Minh City. Its one of things we most enjoy about living here and weirdly, one of the most famous things about the city. However, our favourite thing about Vietnam has got to be the food. The variety, quantity and quality are all fantastic. From Banh Mi to Bun Cha, or from Pho Bo to Ban Xeo, the local food is fast, simple, spicy and delicious. And food is everywhere. Every street has a vendor (or 3) and you are never more than 5 shops away from a cafe or restaurant. So many options to indulge in! Breakfast in Vietnam, like in the rest of Asia, is a very different affair to what we are used to in the western world with a selection of noodle dishes being popular. We haven’t quiet adapted to eating savoury meals for breakfast and so most of our favourite and frequently visited breakfast spots err on the western side. Nestled down the tiniest lane in the heart of the backpacker district, this little bakery makes thee best bagels. Real bagels are something you’ll find hard to come by in Asia! They have a selection of enticing smears and a whole variety of different bagels. With its European influenced menu and hipster design, L’usine easily secured its place as one of our favourites in HCMC. They offer a range of familiar european brunch options, like pancakes and croissants. Be sure to check out their shop for some classy souvenirs while you’re there. One of Vietnam’s famous breakfast meals is a Banh Mi, essentially a baguette filled with meat, pate, veggies, egg and a variety of sauces. It is a popular breakfast food among locals and you can find street vendors and hole in the wall cafes selling it all over the country. Coffee culture is BIG in Vietnam and Vietnamese coffee itself is famous. The taste is quite bitter but when mixed with a dash of condensed milk, you’ll be in heaven. You are never far away from a coffee shop, making a quick cuppa the perfect way to escape the Vietnamese heat. We normally avoid chains, but this hipster Vietnamese chain is something special. They have a great aesthetic and laid back atmosphere. If you are a coffee fan then for a tropical twist (we are talking about Asia after all) try their coconut ice cream coffee or their yogurt coffee. If you are a tea drinker then I love the peach and passion fruit iced tea, but really all of them are great! This apartment block is a crazy mecca, filled with hipster cafes and fashion boutiques. Some favourites are Dreamer and Thinker (loved the clean, fresh design) and Poke (deconstructed Sushi bowls? Yes please! ), but have a wander to explore the ever-changing options on offer. Coffee is no exception to street vendors and here in Ho Chi Minh City, you’ll see locals enjoying a fresh brew on tiny plastic stools on the pavements. Look out for “cà phê sữa đá” (Iced coffee with milk) and sit down with the locals to watch the city pass by. Ho Chi Minh is huuuuge, so we’ve split our top restaurant picks into our city centre favourites and more off the beaten track finds, where you’ll have to venture out of the tourist area to enjoy some cheap local food. Not only do they serve tasty traditional food but the owners of Huong Lai are working to better the lives of locals. All the serving staff were originally street children, orphans or came from disadvantaged homes - the owner provided them with housing, training and schooling, helping get them out of the poverty cycle and learn valuable life skills. All the more reason to dine here! Traditional grandmother style cooking - this place is right in the heart of the tourist centre but strangely hard to find. Heading down the little alleyway you’ll find a cute design haven with a tasty menu. Slightly removed from the main tourist drag, this place serves so many great food options (notably the honey chicken!) The design is cool, with vintage poster style murals on the walls, and the area is busy and a lively atmosphere. If you are prepared to step off the beaten track a little bit you will find yourself immersed in real Vietnam, what we love the best, and you’ll be able to find great, cheap food. This street-side sushi spot is only a short ride south of the backpacker area. Some of the best sushi we’ve ever eaten - amazing flavour with generous portion sizes. It is also full of Japanese people, which must be a sign that the food is amazing! One of our favourite local haunts is a typical Vietnamese BBQ spot in Phu Nhuan District, just north of District 1. You will require a taxi (unless you’re up for a big ole walk) to get here but you’ll find yourself the only westerners and enjoy some amazing BBQ food. The funniest bit is that you eat it with skewers - no cutlery or chopsticks! We’ve taken all our friends and family who have visited here and they’ve loved the experience. Definitely order some Ba Roi (fatty pork), it’s our favourite! Banh Xeo are Vietnamese fried pancakes, filled with shrimp and pork, eaten wrapped in salad leaves. They’re one of our favourite Vietnamese dishes and this spot is regarded as the best Banh Xeo in the city. It’s definitely worth riding out to! Confession: with so many awesome cafes to explore, we haven’t really explored the local bars much. However these are two of our favourite places to take visitors to see the city light up at night. Saigon Social Club is one of the trendiest cocktail spots in the city. Perched atop the luxury Saigon Des Arts hotel it offers a fresh atmosphere with beautiful cocktails and a view around the city. Head for sunset and you’ll be able to cash in on happy hour and enjoy the live DJ playing laid back tunes. Chill Skybar is a fun venue, with a rooftop club included. It’s a great spot to watch the sunset and see the crazy traffic manoeuvring the city center, not to mention happy hour coincides with rush hour! Note: They have a dress code - no flip-flops, shorts or vests. Smart casual is best! If you’re looking for some busy nightlife then head to the backpacker district (around Pham Ngo Lao and Bui Vien), there you’ll find a lot of bars, clubs, late night masseuses and cheap food. For a cheaper rooftop experience you can head to The View (195 Bui Vien Street, Pham Ngu Lao Ward, District 1 | 9th Floor Of Duc Vuong Hotel). It's not as high-up or sophisticated but you can enjoy a rooftop drink with a decent view of the city without breaking the budget. Start your day off bright and early, grabbing a Banh Mi from a street vendor before heading out to explore. First, head towards the Reunification Palace. Going in is not a must in our opinion - it’s a political palace rather than a royal one. If you do decided to go into the palace be aware that it closes for lunch (11:30 - 1), as do most sites in HCMC. From the Palace, wander towards Notre Dame Basillica and the Old Post Office, get yourself some postcards from a vendor and head inside the post office to send one home to your family! This area has lots of opulent buildings, showing the French influence of the colonial times. 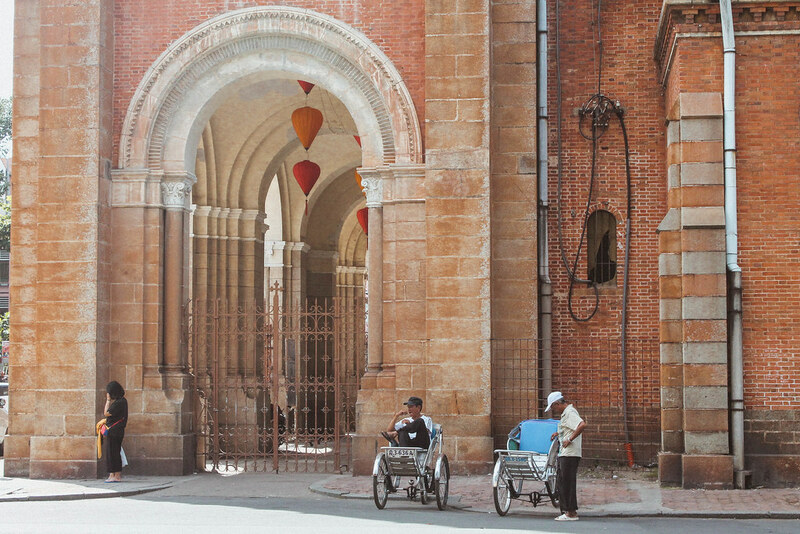 From here, head towards Ben Thanh Market, the oldest market in the city, to try your hand at bartering for some souvenirs! For lunch enjoy some tasty Vietnamese food at our favourite little spot - Bep Me In. 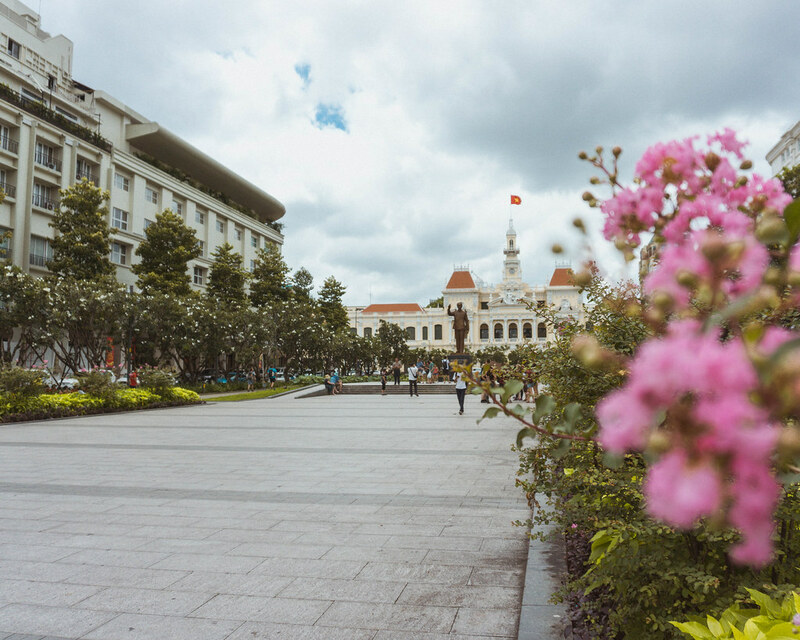 Once you're feeling revitalised, make your way to Nguyen Hue, a wide walking street where motorbikes are prohibited - perfect if you’re already feeling intimidated by the traffic. At the top of the walking street is the beautiful City Hall and Ho Chi Minh Statue. As you walk down you’ll see fountains which sporadically come up from the ground (be careful where you walk!) 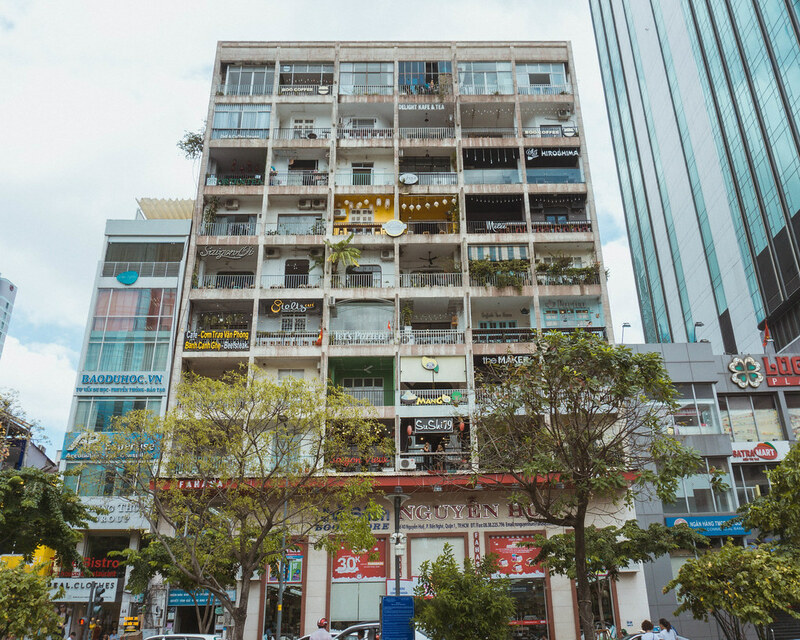 Head into 42 Nguyen Hue, the funky, old apartment building now filled with fun cafes. You have to pay to go up in the lift, but if you’re up for exploring the building, take the stairs for free. Maybe grab a coffee and watch the world go by from a cafe balcony. Head back to your hotel for a quick refresh - the Vietnamese heat will be starting to defeat you after all that wandering around town. 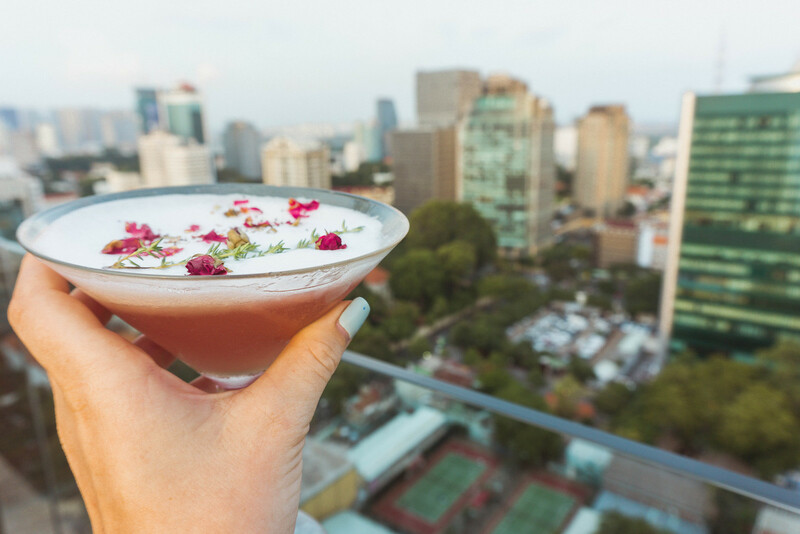 Go up high for a cocktail - our favourite is The Social Club Saigon. Watch the sunset and the city light up as rush hour develops below. Once you’ve enjoyed your cocktail (or two) head for some dinner. You’ll most likely be feeling a bit fancy after the cocktails, so head to one of the more central restaurants and leave street food for tomorrow. Both Quan Bui and Huong Lai are near The Social Club rooftop bar. Start your morning early again - it’s the best way to beat the heat! Head to Saigon Bagel and grab something to go. Today you have a number of options. 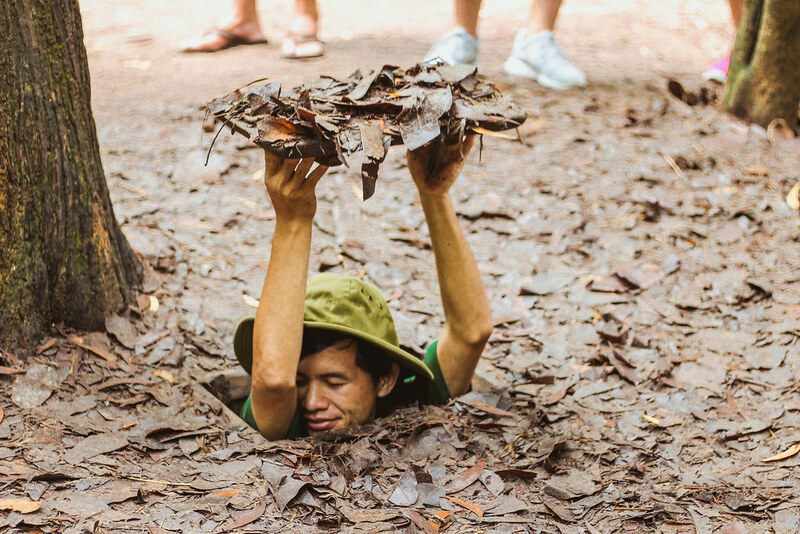 If you are particularly interested in the War history of Vietnam you can head on a morning tour to the Cu Chi Tunnels. One Trip are held in high regard - they are more expensive but we recommend paying for a bit more as you definitely get what you pay for. For lunch make your way to Pho Binh (7 Lý Chính Thắng, 8, Quận 3), which was used as a secret headquarters of the Viet Cong while they were fighting the south. They serve the famous Vietnamese dish Pho and the owners will take you upstairs into a mini museum about the Viet Cong which is an interesting experience. After lunch you can then visit the War Remnants Museum, where you learn even more about the Vietnam-America war. Even if you’re not that interested in learning about the war, you should spend the morning at the War Remnants Museums, as it gives you a relatively good understanding of the recent history of Vietnam. It also closes for lunch so plan accordingly (11:30 - 1). For lunch visit Ben Thanh Street Food Market, a separate building from the main market. Similar to the 42 Nguyen Hue, this market is filled with hipster eateries and there is a near constant rotation of different stalls and cuisines on offer. Take your pick and enjoy watching the world go by - be sure to get some fresh lemon juice made, it’s the perfect way to refresh. For the evening, why not combine our two favourite things - food and motorbikes! There are loads of great street food tours available in the city which will take you to all sorts of wonderful places! Although we’ve never done one, we have heard many people rave about them. XO tours are renowned as one of the best. If you’re more of a DIY traveller, then head to one of our local food recommendations and explore the local food scene by yourself. After all this exploring, head to the backpacker area (Pham Ngu Lau/Bui Vien) and either party away in a bar, or get a massage at one of the many cheap parlours. The best area to stay on a short trip to Ho Chi Minh City is around the Ben Thanh Market area of District 1, or around Nguyen Hue Street (the pedestrianised street). Both areas are a great location for exploring all the tourist sites and avoid the late night noise of the backpacker area. Vy Da Backpackers Hostel: 64 Ly Tu Trong Street, Ben Thanh Ward, District 1 Located in a central but still quiet area, this hostel is a great option for budget travellers. The rooms offer come privacy and there is even a rooftop to relax on. Central Palace: 39 Nguyễn Trung Trực, Bến Thành, Quận 1, Hồ Chí Minh, Vietnam This is hotel offers a lot for your buck, with large rooms and a rooftop pool. The hotel is relatively new so everything inside is clean, fresh and very comfortable. David’s mum and dad had a wonderful stay here, and we were all shocked by the standard for a mid-range hotel. The hotel is only a few streets away from all the main tourist attractions. The Myst - Dong Koi: 6-8 Ho Huan Nghiep St., Ben Nghe Ward, Quan 1, Ho Chi Minh City, Vietnam A beautiful design hotel, steps away from all the main attractions. The rooms have a beautiful and arty design. Plus my mum and gran had a hot tub on their balcony when they stayed. They also have a rooftop pool where you can cool off after a busy day under the Vietnamese sun. About So, The Adventure Begins! David and Frances, are travelling couple come English teachers; Originally from Scotland but currently living in Ho Chi Minh City, Vietnam. Their desire to see more of the world led them to their current adventure of life in Asia. Since moving to Vietnam, they have been lucky to explore some of the surrounding countries and lots of the diversity Vietnam has to offer. Some of their travel highlights include visiting Angkor Wat, spending christmas on a tropical beach, city breaks to Singapore, and most recently, cruising through Ha Long Bay. While working in Vietnam, they are saving for long term travel. Japan is currently top of Frances’ must-see list, while David yearns to laze on every beach the Philippines has to offer. You can follow all of their adventures, complete with destination guides and information on living and working in Asia on their blog, So The Adventure Begins! I hope you enjoyed the latest post from the 'Live Like a Local Guide' from So, The Adventure Begins! Where to next?